The Institute of Directors in Southern Africa (IoDSA), The Institute of Internal Auditors South Africa (IIA SA), The Institute of Risk Management South Africa (IRMSA) and The South African Institute of Chartered Accountants (SAICA) held a one-day conference focusing on Governance themed ‘Inclusive Capitalism – Leading South Africa with Courage’ held on the 22nd May at Emperors Palace. This unique conference represented a landmark collaboration and attracted Audit Committee members, Directors, Senior Executives, Risk Managers, Internal Auditors, External Auditors and others either involved in, managing or providing integrated assurance, both in the public and private sectors. The conference was attended by 200 – 500 people. 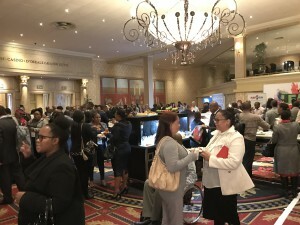 A line-up of great speakers was in attendance, including Jenitha John: Chief Audit Executive (First Rand Limited); Adv Thuli Madonsela: Chief Patron (The Thuli Madonsela foundation); Thuto Masasa: Head of External Audit (Nkonki) and Dr Reuel Khoza, Chairman (Aka Capital) to name a few. 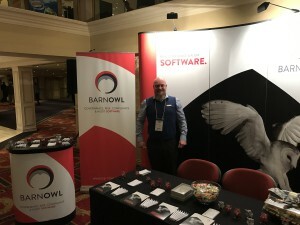 BarnOwl were proud sponsors and exhibitors at the conference and enjoyed the opportunity to catch-up with our clients and prospects alike. 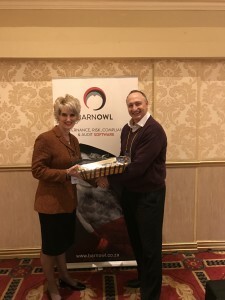 BarnOwl also held a lucky draw to win a gift hamper. The lucky winner was Ronell Louw from Imperial Group Limited. Congratulations Ronell!